This is a Hand Signed limited edition serigraph by Zamy Steynovitz titled “Artist Palette”. 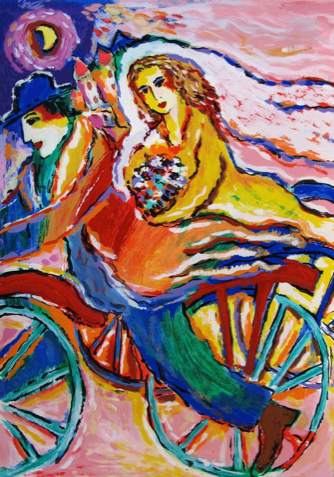 This is a limited edition serigraph by Zamy Steynovitz titled “BICYCLE BRIDE AND GROOM”. 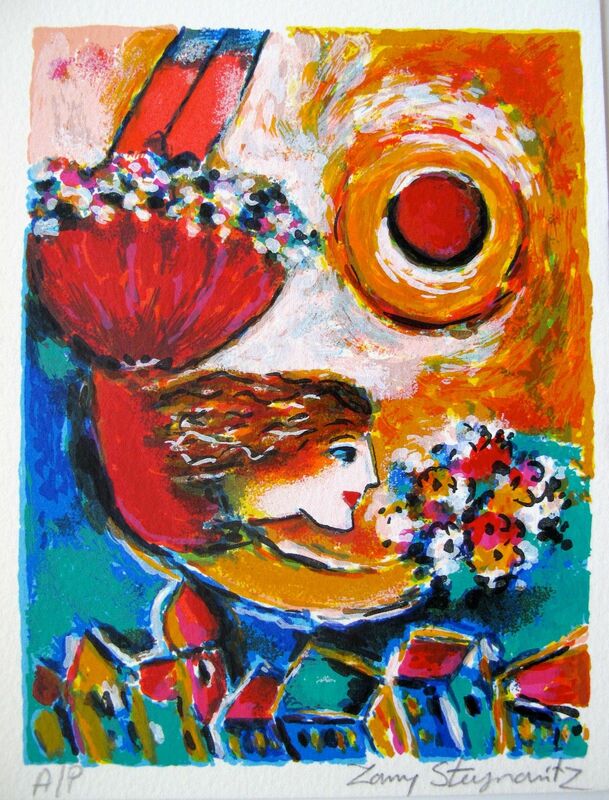 This is a limited edition lithograph by Zamy Steynovitz titled “DANCER WITH BOUQUET”. 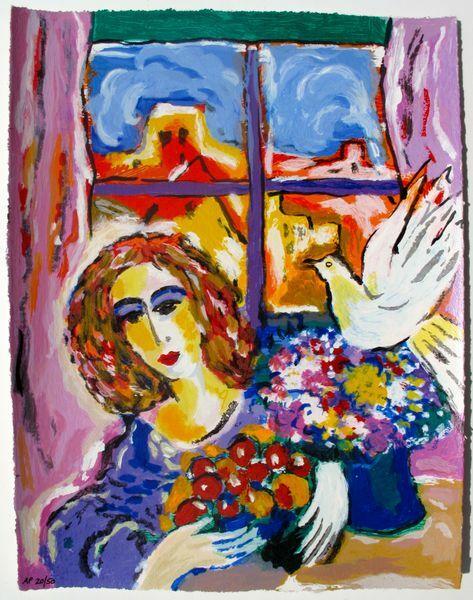 This is a limited edition serigraph by Zamy Steynovitz titled “DOVE AT THE WINDOW”. 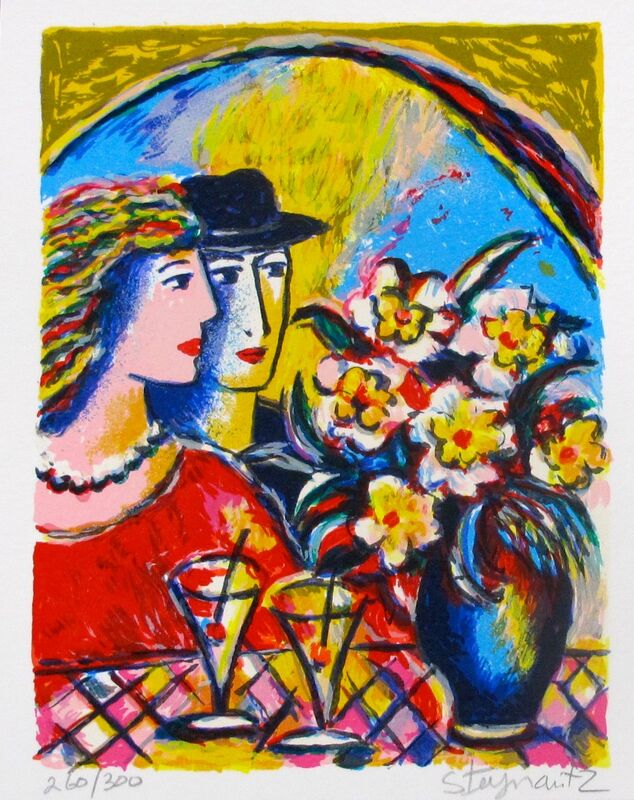 This is a hand signed limited edition lithograph by Zamy Steynovitz titled “First Date”. 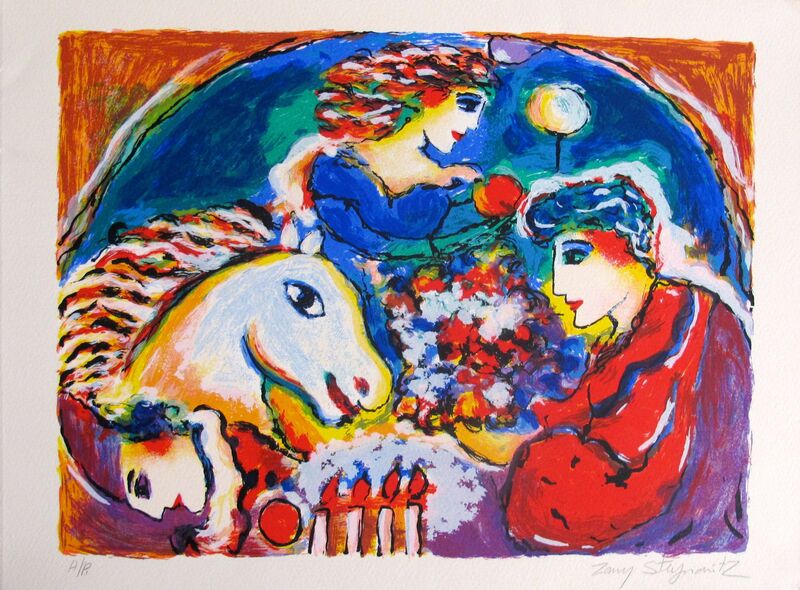 This is a Hand Signed limited edition serigraph by Zamy Steynovitz titled “Lovers Over Circus”. 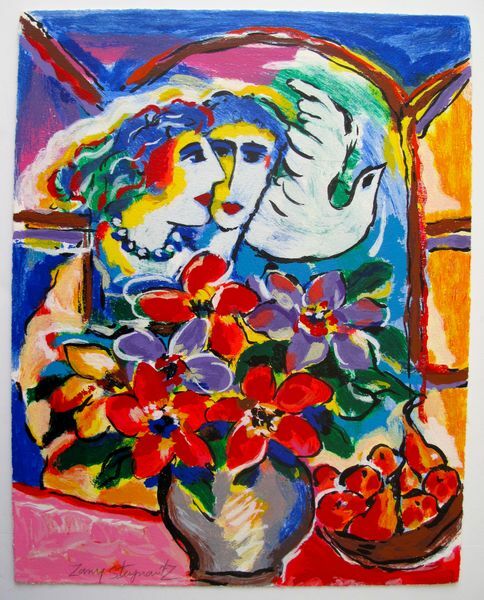 This is a Hand Signed limited edition serigraph by Zamy Steynovitz titled “Peace and Love in Paris”. 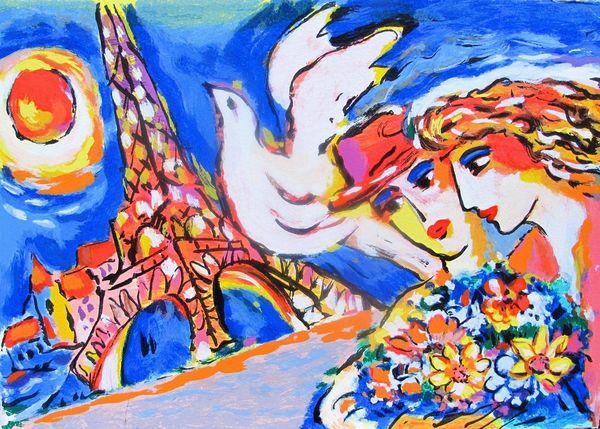 This is a limited edition serigraph by Zamy Steynovitz titled “PEACE AND ROMANCE AT THE EIFFEL TOWER”. 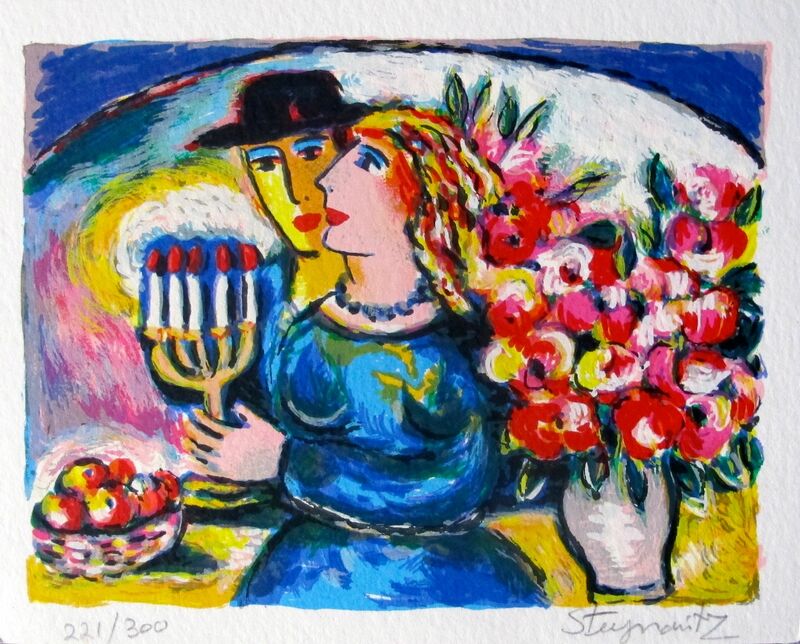 This is a hand signed limited edition lithograph by Zamy Steynovitz titled “Shabbat”. 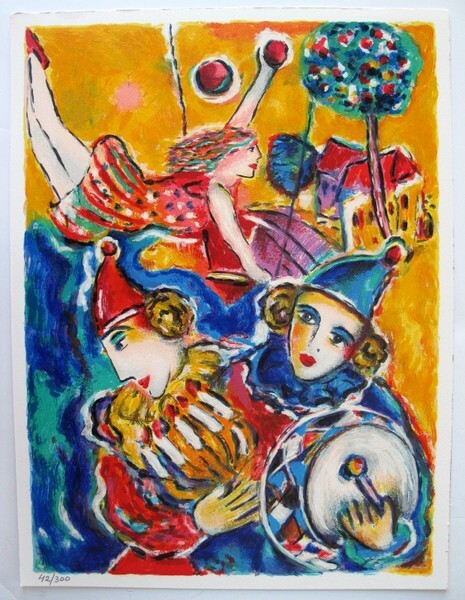 This is a Hand Signed limited edition lithograph by Zamy Steynovitz titled “CIRCUS”. 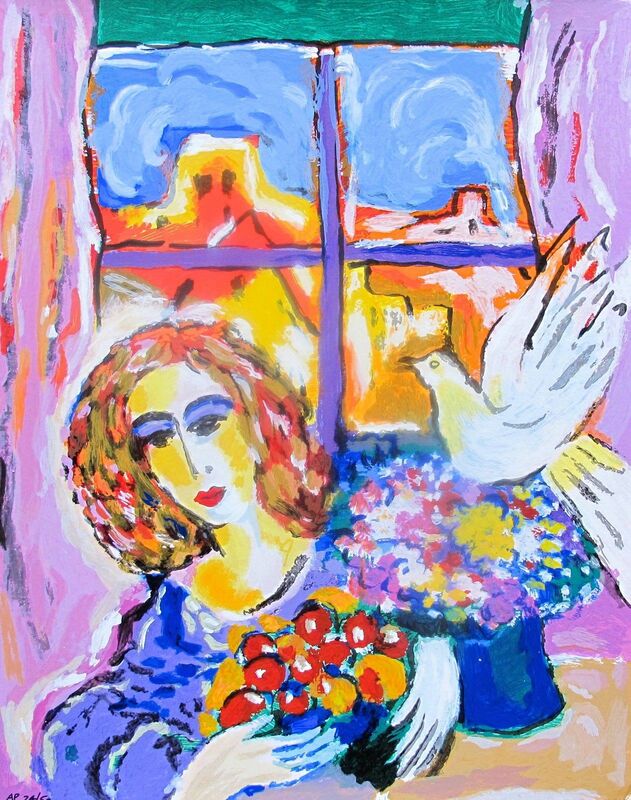 This is a hand signed, limited edition serigraph by Zamy Steynovitz titled “DOVE AT WINDOW”. This is a hand signed, limited edition serigraph by Zamy Steynovitz titled “FALLING IN LOVE”.